Please consider a gift to our teachers via “Notes of Thanks”- that is, helping them stock their classroom with much-needed music supplies! You can help by choosing an item off of our “Notes of Thanks” board at the music concerts and purchasing it through Amazon Smile- your gift will give TWICE as we can get the teachers the items they desperately need AND LMBO will get .5% of the purchase price as a “kickback”- which goes right back to funding scholarships, events, and programs at Lakewood City Schools! 2. Write your name and email on half of the “note” and drop it in the bowl provided. 10. Search for your item and purchase it. You can select shipment to our Lakewood Music Boosters Post Office Box and we will get it to the right school/teacher! we need your email) and you will have it all ready for your taxes next year! It’s so easy and you can DIRECTLY help a teacher and students in our community. 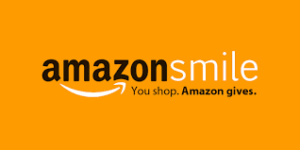 Won’t you take the first step today and install the Amazon Smile toolbar so you can help us each time? Did you know that Lakewood Music Boosters offers scholarships to summer music camps and private lessons to all Lakewood elementary, middle, and high school students? All you have to do is become a member and apply by January 31st, 2017! LHS Doorstep Direct Fruit Sale! 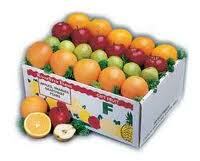 Lakewood High School’s Doorstep Direct Fruit Sale! We are offering The Doorstep Direct Fruit Fundraiser to our customers. This program allows you to support Lakewood High School by ordering fruit online and having it shipped either directly to you or to someone else you think would enjoy this refreshing citrus. You will receive an email as your receipt for the purchase. Please email Mrs. Thomas at bethbenderthomas@gmail.com with any questions. We greatly appreciate you supporting Lakewood High School. Have a great day!